"The stage needs people like Flatley"
Michael Flatley’s Celtic dance extravaganza comes to the London Palladium for a limited run this autumn, from the 1st September to 25th October 2014. The performance premiered in 1996 and has since played to over 60 million people worldwide. 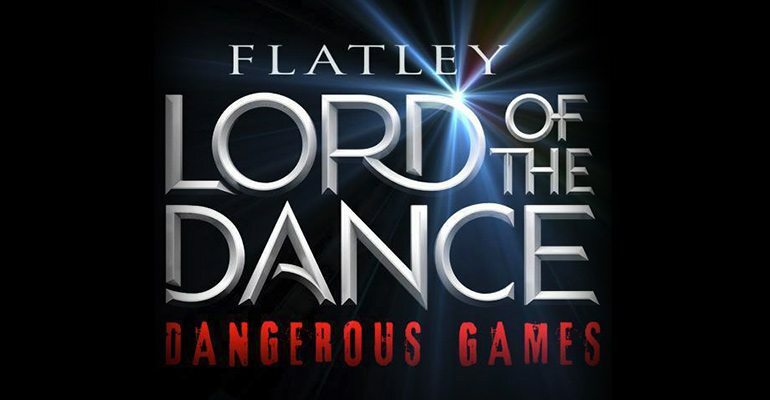 This version has the mysterious title ‘Lord of the Dance – The Dangerous Games’, hinting at a darker tale than audiences may have seen previously. It tells a classic story of good and evil based on Irish folklore. Flatley himself is making his final West End appearance in the show and is joined by 40 young dancers; even Girls Aloud singer Nadine Cole is making a guest appearance on some nights. The performance is part of a new season of short runs at the London Palladium, which pays homage to the venue's history of variety shows. The London Palladium will not admit children under 5. The show itself is suitable for young children but it is better suited to older children and teenagers. Michael Flatley will NOT be in appearing in Matinee performances. Nadine Coyle will be performing at the following 7.30pm performances: 1 - 6, 9, 11, 12, 16, 18, 19, 23, 25, 26, 30 September, 2, 3, 7, 9, 10, 15 - 17 October. PLEASE NOTE - The 7.30pm performance on Tuesday 23 September is being filmed. Michael Flatley is getting on a bit and we knew this was his standing so it wasn't a problem that he only makes a short appearance at the end. In fact it was fabulous to have a last chance to see him in action. James Keegan was mesmerising and charismatic so we were very happy with the new lead. The problem is that like A Tale of Two Cities, the show is the best of times and the worst of times. The best is the fantastic river dancing and the energy, beauty and choreography. This was enough - they should have trusted the audience to enjoy a unique cultural experience. Instead we got appallingly naff CGI, a feeble plot which despite being extremely basic, completely lost me, and a weird nymph who I am sure was mining playing the tin whistle. Stick with the river dancing, lose the unicorns, butterflies and waterfalls, demonic robots and all will be well. Wow what a amazing show dangerous games was,we so enjoyed every part of it & always do, michael you are a legend and such a inspiration to dancing! Spent a lot of money to see this show last night. Absolute rubbish, paid too see m flatley never appeared until 5mins from the end. More like seeing a tribute act. False advertising I think. Not the only one loads complaining and booing heard from audience. Absolutely brilliant!! Didn't think they could improve such a marvellous show anymore but thoroughly enjoyed every single minute of this new show, especially when Michael came on at the end! I loved the new modern version of an amazing show, such talented people! Didn't want it to end!! Will go and see it again as soon as I can!! Surprise for my mum to see Lord of the Dance not disappointed at all fantastic. Flatley was on the stage for a good 20 mins at the end and wot a performer, my mum who's 80 next month jumped out of her seat clapping. Well worth it. The only thing that spoiled it was two women sitting next to us had drunk to much. Don't need to say anymore. Fabo Friday evening. I know that a lot of people have complained about Flatley not being in the show for very long, but goodness me people do your research! The information is out there about his appearance, the show isn't trying to pretend he has a starring role. I loved the show and went knowing that he wasn't going to be in very much, instead he's nurtured a group of wonderful new dancers and taught them his craft. I'm a huge Irish dancing fan but I know that most people only think of Flatley when they think of Irish dancers - it's good to get some fresh blood and for the general theatre going public to know who these new dancers are. You might have seen someone at the Palladium who goes on to be just as famous as Flatley and then you'll be thankful that you got to see them. I urge anyone to go and see Lord of the Dance and enjoy the fact that you're seeing some NEW DANCERS! Very disappointed that it wasn't made sufficiently clear that Michael Flatly's appearances would be so limited. If I'd known I wouldn't have booked. Fantastic show from start to finish. Everything has been completely modernised and looks fantastic. James was a fantastic Lord and really got the crowd going. My personal highlight was seeing Michael Flatley and he absolutely stole the show! Will hopefully get to catch the show again. I don't know much about Irish dance, but incredibly impressive nonetheless. Robots and unicorns though? Bit weird. Have seen Riverdance, Lord of the Dance and Celtic Tiger. Was so excited and looking forward to seeing Michael Flatley and was therefore so disappointed when effectively he appeared for the curtain call. Five minutes of a computer generated Michael and ten at most of the real thing. Still feel duped and bitterly disappointed two weeks later. Absolutely fantastic and an amazing show with amazing dancers and the brilliant Michael Flatley !!! Having seen Michael Flatley 3 times before was SO excited to attend this performance on the 19th September. But oh! what a disappointment -Michael only comes on stage for the last few minutes.Felt a little cheated. Performance lacks polish and certainly was not impressed with the vocals of Nadine Coyle. For me this one one production too many and I prefer to remember him at his peak. Wow, the most amazing evening, when Michael came on stage is was electrifying. I have waited for a long time to see him live and it was everything I expected and more. Of course the rest of the show was amazing, all of the dancers were fantastic. I got to see MichEl outside and get a photo with him, a very special day. OMG! Why is Michael Flatley so perfect, I'd do anything to be just like him!!!!!!!!!! When the publicity says 'featuring Michael Flatley', they are exaggerating. He is onstage for five minutes at the end. The show is OK. The backdrop of filmed pictures detracts from the dancers. So so. It was just amazing the dancing the music, the set, the singing it has been modernize very well but remains enchanting.I did not want it to end. Fantastic evening, my son bought tickets when they first came out had great seats at the front and loved to see Michael - my son had waited years to see him and been following ever since he saw my Riverdance video I got when he was 2 years old! He is now 22 and has a degree in performing arts. Really enjoyed matinee show on Thursday 11th September, the special effects and dancers were excellent - have booked to see show again in Brighton. Well done to all involved. An amazing show, Robojig is fantastic can't wait to see the closing show. My highlight was meeting Lord of the dance Michael Flatley and he signed my coat from the original show. Fantastic feel good show, amazing energetic dancers, great effects. Would see it again if I could. My 3 children loved it and to top it off got to meet Michael after the show, where he took the time to chat to my 8yr old son. A genuine man with time for his fans. Totally fantastic seeing Michael Flatley himself perform at the London Palladium! The modernisation of the staging and costumes really highlighted Michael's creativity. Although I loved every minute of it, some of the moving animation did prove distracting to the beauty that is the dancing and magical feet work. It was easy to spot someone that didn't follow suit, for example one girl held her waist throughout the performance instead of her hips making her noticeably going against formation. No one can replace the stage presence that Michael Flatley has demonstrated, he is the Lord of the dance. However the following Lords' feet work proved equally outstanding, they just need to believe in themselves and the 'stage persona' will follow. I would pay 100 times over to watch the performance again and especially for Michael Flatley performing as the Lord of the Dance. It was amazing when I watched Michael Flatley himself perform at 8 years old and it was incredible again now I am 23, and all the times in-between I've watched in on Video, DVD and now iTunes player! Absolutely brilliant, fantastic, awesome and incredible Michael Flatley and the cast were amazing what a way to celebrate my 28th wedding anniversary thankyou. The show is amazing! Creative concepts & ideas. But for me the highlight was Nadine Coyle. Her singing is PHENOMENAL! She brings the whole show together. PS Michael Flatley is a legend. Michael Flatly only appears on stage for the last 5 minutes. The show is the same as the other shows - Lord of the Dance. Lead dancer a bit wooden, forced smiles from the rest. Sprite missed her flute playing cue every time. Solo female singer not brilliant. Didn't follow story particularly well, perhaps a programme might help. All in all a little bit flat. I loved Lord of the Dance but felt very disappointed that Michael wasn't in the show. I think this should have been advertised properly, but saying that I still had a wonderful time. Once I realised that he wouldn't be dancing the main part I relaxed into it and enjoyed James Keegan's performance. The young dancers that Michael has found are exceptional and really took my breath away in some parts. Still wishing that Michael had been in it properly, not just at the end, but I had a great evening and would recommend it to anyone who loves Irish dance. Very disappointed. We changed our matinee tickets as we were notified that Flatley was not performing in the afternoons, so went last night 10/09/2014 and he did not appear until the last five minutes. We and lots of other people felt cheated and let down. However the rest of the cast were excellent but we would not have paid £85.00 per ticket to go if we knew he would not be there till the end. Seeing Lord of the Dance at the Palladium has got to be one of the best theatre experiences I've ever had. My husband took me for my birthday and I've been excited ever since he bought the tickets! There was such an incredible atmosphere going into the theatre, even waiting at the bar before the show. When the curtain rose there was thunderous applause from the audience before any dancing had even started! People, including myself, have obviously been waiting for another Flatley show for years! The troupe of young dancers were totally flawless, especially James Breen. The whole premise is a bit silly but it embraces it - dancing unicorns and jigging robots, what's not to love? It was a little disappointing that Flatley himself only arrived at the end, but seeing as he's been performing for so long he can be forgiven. He's proven that younger dancers can and have taken up his baton and ran with it. They're so lucky to have had such an inspirational mentor. It was a truly memorable performance and the Palladium was the perfect venue for it. Stunning! Even if you're not a dance fanatic you really will love this show, and if you are then you'll adore it! My daughter surprised me on the very evening [keeping it a secret]with tickets to Michael Flatley's spectacular Lord of the Dance Show as she knew I loved Michael's Irish dancing performances. It was truly breath taking, fantastic visual effects, and despite the 'dark theme'- costumes glorious and the dancing superb and invigorating and Good will always prevail over evil. Nadine's singing wonderfully powerful. The experience of being there and watching all these superb dancers was an unforgettable experience which I lapped up with a passion. I only wish the show had been longer than the 2 hours as I could not get enough and I believe the rest of the audience would have enjoyed at least another half an hour or so as he had us on our feet applauding them for more encores!!. Plus I was so happy to see Michael himself come on stage to give us all a taste of his superb skills and artistry in Irish Dance and choreography. Very sad to hear that this will be his last performance. I will truly miss this amazing dancer. His young Troupe of Dancers must also be highly commended for giving us such a spectacular performance- a credit to them and to their master Choreographer and his beautiful Concept with all the gorgeous colourful visual effects, especially the opening scene- truly amazing. Good luck and God bless to Michael in all his future ventures. I will live with the memory of watching my 3 young children trying to copy Michael's dancing, standing in front of the TV and watching from a video that I had bought and this show will truly honour that memory. Artistes par excellence. Thank you so much for giving me and my daughter an unforgettable evening of stunning entertainment. What an amazing show. From the minute the house light went down I was hooked. Amazing staging and effects, lovely costumes and of course incredible dancing. Particular praise for James Keegan as the Lord of the Dance. Michael Flatley leaves big shoes to fill but he does it admirably with amazing dancing & real stage presence. The highlight if the evening however, has to be Mr Flatley's appearance at the end of the show. Wow what a showman & age certainly hasn't diminished him. The only off note of the night, for me, was Nadine Coyle, who's nerves were very apparent. Her voice was strained beyond it's limits during the power numbers and she seemed uncomfortable moving around the stage. All in all though a fabulous evening & a thoroughly recommended sho.